The next WeChat is hiding in Canada and eyeing the U.S.
Waterloo, Ontario is a quiet sort of suburban college town, far removed from the hustle and bustle of Silicon Valley. Although it’s positioned in Canada’s Tech Triangle, it’s not the sort of place you’d expect America’s next social media powerhouse to come from. That is both the promise and the challenge of Kik, a messaging app built by Waterloo students in 2009. As a chatting app launched early amid a relatively quiet app landscape, Kik saw an initial explosion of viral adoption, albeit through slightly spammy techniques, and has been growing ever since. Now, four years since its launch, Kik is positioning itself as America’s version of WeChat, the messaging behemoth of China. It believes it has the right product (text messaging, the old-fashioned kind) and the right audience (almost half of U.S. youth) to become a proper mobile first platform. If it succeeds, it stands to become the portal for the mobile economy, much like [company]WeChat[/company] did in China. It could make a windfall of cash off brand and app partnerships and lead the way for the next generation of social networking. But there’s one big obstacle standing in its way: Most people have never even heard of [company]Kik[/company]. Much like anonymous chat app Yik Yak, Kik has built a devoted teen following without attracting a ton of attention from the tech press. With its investors largely based on the East Coast and a humble Canadian sensibility, Kik has toiled along without much ado. Now its moment of reckoning has arrived. With [company]Snapchat[/company] making its first big moves to become a mobile platform (see Snapcash), and [company]Facebook[/company] plotting its WeChat plans for Messenger and WhatsApp, Kik must get its platform rolling or risk losing out to its far larger, more powerful competitors. Kik launched early in the messaging space; 2010, around the same time as WhatsApp and far earlier than Snapchat. Because it didn’t require a phone number (unlike SMS or WhatsApp), many teens who had iPod touches but not mobile phones could use it. That feature became Kik’s killer tool. People connecting over public social networks like Instagram and Tumblr wanted a way to privately chat with each other without having to hand over personal information like their phone numbers. Since it was pseudo-anonymous, Kik became the defacto messaging app for Instagram, Tumblr, and Twitter. At the time of publishing, 21.5 million Instagram posts had been tagged with #Kikme. With 185 million registered users, Kik estimates 40 percent of the U.S. youth population (13-25) is using it based on census data. It’s a powerful age group to have in your grasp. As we’ve seen with Facebook and other social applications, once enough teens adopt a tool, it spreads to other age groups. Sure enough, Kik’s App Annie rankings show steady growth since its launch in 2010 — it’s currently ranked sixth in U.S. social networking apps and 35th in U.S. apps overall. Kik’s number of unique app users, as tracked by Comscore, mimics a similar hockey-stick trajectory, from 3.7 million in October 2012 to 16 million by October 2014. 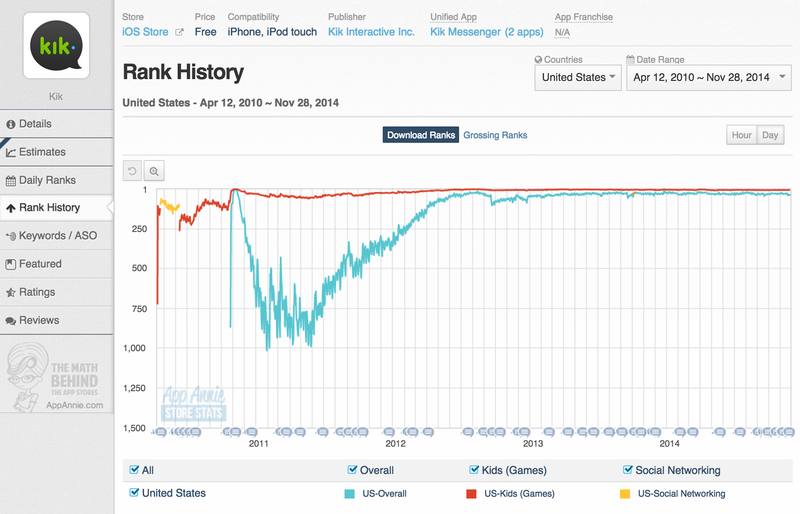 Kik’s iOS download rankings since its launch. It’s currently ranked sixth in US social networking apps and 35th in US apps overall. In the age of messaging multiplicity, WhatsApp (and Viber) became the app for those abroad, Snapchat became the app for pictures and video, and Kik became the American teen texting app of choice. As all three companies have matured, Kik is arguably the best positioned in terms of product and audience to pursue a WeChat-style mobile platform in the U.S.
For those of you unfamiliar with WeChat, here’s a quick rundown. It’s China’s mobile messaging powerhouse, an app that hooked users with chatting and then funneled their purchasing power into other properties. People play mobile games off WeChat, conduct their banking on WeChat, and occasionally buy products through WeChat. It’s believed to drive a lot of traffic – and revenue – to its parent company [company]Tencent[/company]. It has almost 500 million monthly active users and 67,000 apps are reportedly connected to it. This simple texting application, in other words, is a conduit to the rest of the web. It showed that social networking — and chatting in particular — can play kingmaker for commerce, financial management, and other industries by serving as the gateway to them. It’s what Facebook would look like today if it had been built mobile first and succeeded with its platform efforts (neither of which are true). The company takes a cut of many of the transactions on its platform, in addition to making money by selling stickers. It also rakes in ad revenue from brands who connect with consumers through promoted messages. “Size assistants” from Tommy Hilfiger text with customers on WeChat to help them figure out their correct size. Celebrities record morning wake up greetings for the WeChat users who pay to receive them. WeChat has, in part, inspired the current messaging app explosion. 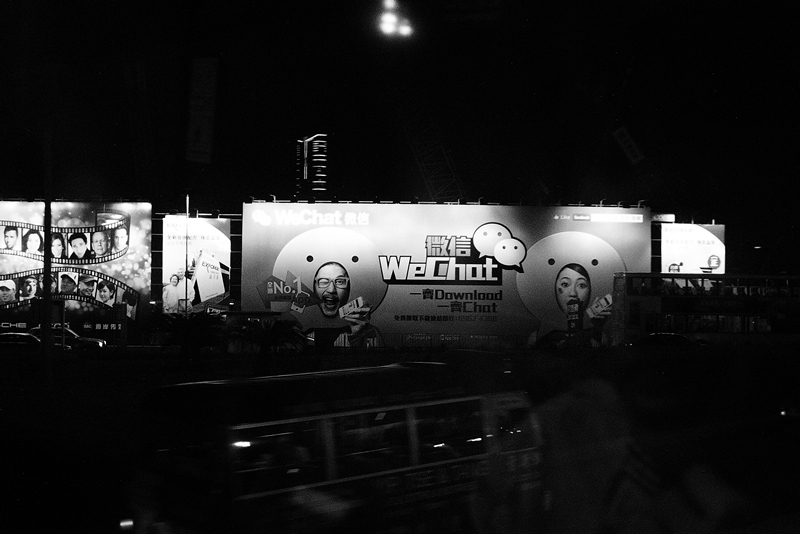 Line in Japan and KakaoTalk in Korea have implemented WeChat’s platform model to great success. KakaoTalk actually just went public by purchasing Korea’s second largest internet company, which was already public. Mark Zuckerberg was studying WeChat when he snapped up WhatsApp for $19 billion. Facebook’s new Messenger chief, David Marcus, told Bloomberg the company will be pursuing a WeChat strategy with Facebook Messenger. “There are a number of things we can monetize,” Marcus said, pointing to the fact that WeChat users do everything from hailing cabs to exchanging business cards through the app. Lastly, as The Information reported in October, Snapchat has big plans for its own WeChat-like platform strategy. It rolled out its first platform effort – facilitating Square cash transactions between friends – just last week. Snapchat’s platform strategy isn’t a surprise, given that WeChat owner Tencent is a Snapchat investor. How does Kik stand a chance, competing with such social networking heavyweights? 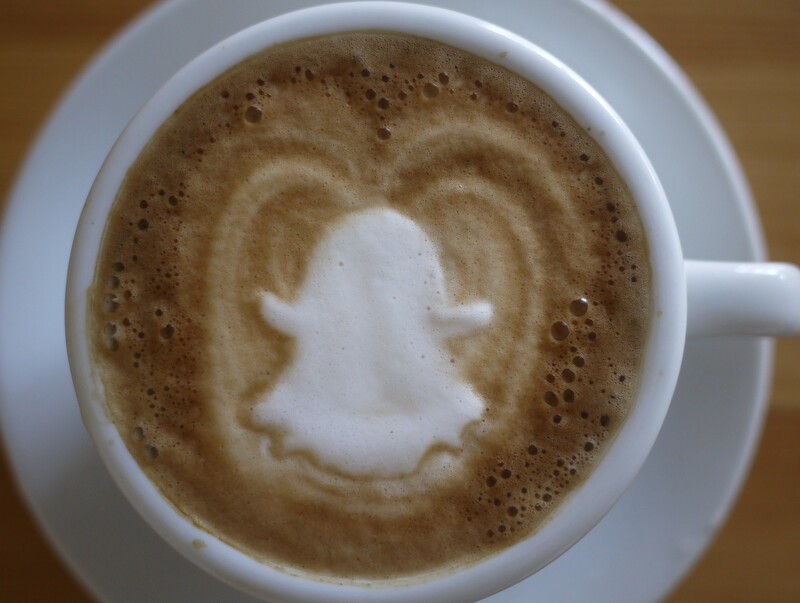 Ephemeral latte art in the shape of the Snapchat logo. Disappears as soon as the first sip is taken. Kik’s advantage comes from the fact that it’s not crippled by the weaknesses of its competitors: Snapchat’s ephemerality, Facebook’s reputation with teens, and WhatsApp’s foreign focus. In terms of a core product, Snapchat is a tough sell to be a portal for other apps. Disappearing pictures and video don’t exactly lend themselves to things like bank account management and e-commerce transactions. In fact, when the company introduced Snapcash the world collectively went, “Huh?” It wasn’t clear from the blog post launch how payments would work with ephemerality. Jokes abounded. “The money disappears in ten seconds right?” one Twitter user teased. “What if you were drunk and you accidentally sent someone $100?” one forum visitor asked. It’s possible that Snapchat will figure out how to integrate more serious, permanent types of products into its platform. But convincing consumers to trust it – a company birthed from the brand of sexting and disappearing pictures – will be tough. Facebook has similar baggage. It proved it’s not the best at working with other apps with its first attempt back in 2007, a debacle that taught many developers not to trust it. Furthermore, the youth of America – if you’ve been hiding under a rock – are not particularly enthused with the comparatively ancient social network, which houses their parents and grandparents. Facebook isn’t cool. And without the next generation on board, the company will have a hard time turning Messenger into a sustainable platform. With 600 million users, WhatsApp has the product and the reach to build itself into a WeChat. But its real power is fragmented in countries across the globe, and it doesn’t have much of a hold on the American audience. The company hasn’t released its North American usage numbers, but research firms estimate it as being somewhere between five and ten percent. It could very well become the platform chat app for other countries (like India, Spain, and South Africa), but it’s unlikely to do so in the U.S. Enter Kik. The company doesn’t have as many American users as Snapchat, but at 185 million registered users it still has a sizeable chunk, far more than its measly PR efforts would suggest. Just like WeChat, it’s based on solid text based messages that don’t disappear after sending. Unlike Facebook, has already won over almost half of American youth, which is a key demographic for a social app. And it has experimented with platform efforts almost since its inception. 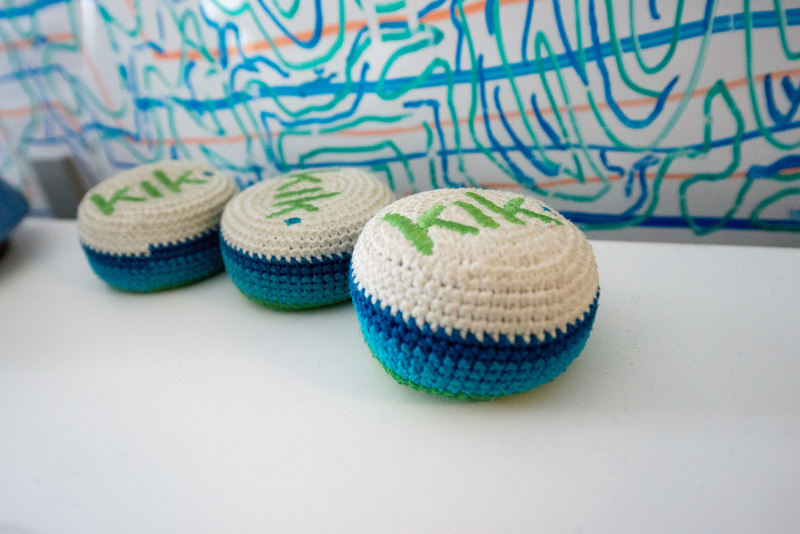 By 2011, Kik offered an API that other apps could use to connect to Kik. For example, users of a drawing app would be prompted to share their sketch on Kik to a friend, the same way you might share an Instagram photo to Facebook. These days, Kik’s integration with other apps comes in the form of cards. Users can send “cards” to their friends, from companies like Funny or Die, Moviefone, and NowThis News. The cards link to these brands’ apps and content. In February, Kik introduced an in-app browser so its users could surf other parts of the web without ever leaving Kik. It rolled out Kik Points to reward users who did so. With earned points from interacting with third-party brands, sites, and apps through Kik, users can buy new stickers to share in chat. As The Next Web pointed out, down the line Kik could use that gamification system to make advertising money. Brands are likely to pay extra if users can earn points by, say, visiting their website or downloading their game. Kik has evolved these platform efforts in recent months, introducing Promoted Chats – a highly lucrative endeavor it modeled off WeChat. Users can chat with brands in the promoted section, and brands can target users with messages. At least at first, the open rates for such messages are high; averaging 98 percent according to Kik, and 74 percent according to some specific brand’s reports. “We’re going to be the platform that connects people through chat to the mobile economy,” Kik cofounder Chris Best told me. He’s rather optimistic, but Kik’s success as a platform is by no means assured. It hasn’t released its monthly active users — only its registered ones — which suggests the number of people who stick around on the app isn’t quite as prolific as those who download it in the first place. It battles major problems with pedophiles and sexbots, both of which have found the app to be fertile ground for victims. Snapchat has it beat in terms of reputation, which makes it easier for the picture app to strike partnerships with banking or gaming or e-commerce institutions. Kik is barely known to the adults of America and the denizens of Silicon Valley, whereas Snapchat has become a household name. Facebook has nearly limitless cash reserves, armies of talented engineers, and the product vision of Mark Zuckerberg and David Marcus (former CEO of PayPal). WhatsApp has Facebook’s backing, plus a user base of 600 million monthly actives. It’s going to be a tough fight.